SAMAH JABR M.D. is a psychiatrist and psychotherapist based in East Jerusalem. She has consulted with many health and mental health care organizations globally, and has been on the faculty of several universities within Palestine and internationally. She is well-known as a spokesperson for human rights in Palestine and widely published in the popular press, in academic journals, and in scholarly books. MARTIN KEMP Ph.D. is a psychoanalyst in private practice in London, UK. He has made several visits to Palestine, experiences that motivated a commitment to activism within the mental health community. 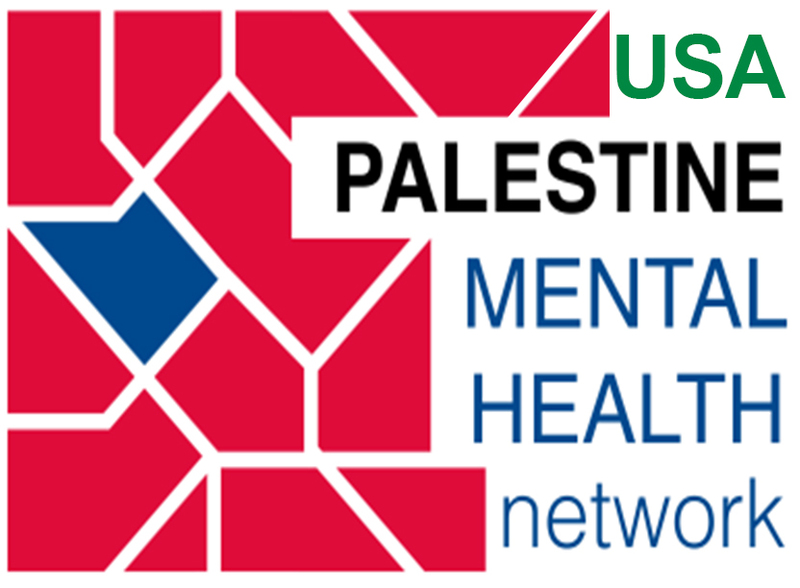 He was one of the founders of the UK-Palestine Mental Health Network in 2014. He has published several articles exploring psychological components that affect the quality of international discourse on Israel and Zionism, within and beyond the professional literature, and numerous briefer contributions to the struggle for justice and equal rights in the region. LYNNE LAYTON Ph.D., Ph.D. is Assistant Clinical Professor of Psychology, Part-Time, in the Department of Psychiatry at Harvard Medical School, a supervisor at the Massachusetts Institute for Psychoanalysis, and Adjunct Professor at Pacifica Graduate Institute’s program in Community Psychology, Liberation Psychology, and Ecopsychology. She is past-president of the American Psychological Association’s Section IX (Psychoanalysis for Social Responsibility) of Division 39. Dr. Layton is past-editor of the journal Psychoanalysis, Culture & Society, and has published widely on the intersection of psychoanalysis and social justice with regard to gender, class, race, and related subjects. SAMI OWAIDA M.D. is a child psychiatrist based in Gaza. He studied medicine in Moscow and child and adolescent psychiatry at the Hadassah Hospital in Jerusalem. Dr. Owaida was trained during the 1990’s at the Gaza Community Mental Health Programme under the leadership of its founder, Eyad El-Sarraj MD, and now works as a child psychiatrist at the GCMHP, dealing mostly with traumatized children. LARA SHEEHI Psy.D. is a licensed clinical psychologist, behavioral health policy analyst and Assistant Professor of Clinical and Forensic Psychology at the George Washington University. She is the incoming Secretary for the America Psychological Association’s Division 39 (Psychoanalysis), an executive board member of Division 39’s Section IX (Psychoanalysis for Social Responsibility), previous co-chair of the Division 39’s Multicultural Concerns Committee, and a mentor in the Minority Scholars Program. Dr. Sheehi was the 2016-2017 recipient of the Psychology Fellowship with the American Psychoanalytic Association. She and her husband, Stephen Sheehi, co-authored an article, Enactments of Otherness and Searching for a Third Space in the Palestine-Israel Matrix, which was the winner of the 2017 Best Article Gradiva Award from the National Association for the Advancement of Psychoanalysis. They are currently working on a book under contract with Routledge entitled Psychoanalysis Under Occupation: Theories and Practice of Psychoanalysis in Palestine; she has a forthcoming chapter “The Islamophobic Normative Unconscious: Psychoanalytic Considerations” in the edited book, Islamophobia and Psychiatry: Recognition, Prevention and Treatment (forthcoming, 2018). STEPHEN SHEEHI Ph.D. is the Sultan Qaboos bin Said Chair of Middle East Studies at the College of William and Mary. He is the author of Arab Imago: A Social History of Portrait Photography, 1860-1910 (Princeton, 2016), Islamophobia: The Ideological Campaign Against Muslims (Clarity, 2011) and Foundations of Modern Arab Identity (Florida, 2004). He and Dr. Lara Sheehi are the authors of Psychoanalysis Under Occupation: Theories and Practice of Psychoanalysis in Palestine (forthcoming, Routledge). Along with Salim Tamari and Issam Nassar, he is also co-author Camera Palaestina: Photographic Witnessing in the Albums of Wasif Jawharriyeh (University of California Press, forthcoming). ABDEL AZIZ MOUSA THABET, M. B. Ch. B, DPM, DCAC, Ph.D, MD is Emeritus Professor of Psychiatry affiliated with the Center for Refugee Studies at York University in Canada and the Chairman and Consultant at the Child and Family Training and Counseling Center in Gaza, Palestine. He serves as the President of the Child and Adolescent Section at the Arab Federal Psychiatrists and is a member of its Executive Committee. He is the Chief Editor of the Arab Journal of Child and Adolescent Psychiatry. Dr. Thabet has a long history as a scholar, clinician, researcher, teacher, and consultant to various universities, NGO’s, and public agencies within Palestine and elsewhere. His work spanning many decades is widely regarded as foundational to the understanding of mental health in Palestine. He lives in Gaza.